Have you felt confused when attempting to figure out the “organic” food label? I have asked: Why are these labels so confusing? Why do they vary? What does each of them mean? The National Organic Program (NOP) is a part of the United States Department of Agriculture (USDA). The NOP defines organic food and also regulates the labeling of organic food. Organic food certification involves an inspection of food to ensure that it proves to be organic according to NOP standards. Food that passes this inspection can be labeled as organic. These certified organic foods may feature a round green and white seal that reads “USDA Organic” on their packaging. However, some foods do not feature this seal, but do have the term “organic” somewhere on their packaging. …the percentage of organic ingredients used to produce and process them. 95% Organic Ingredients. 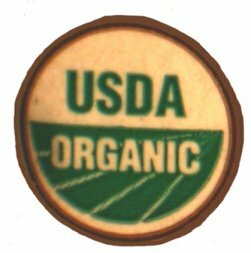 Can display the “USDA Organic” seal on their packaging. 70% Organic Ingredients. Can have the term “organic” located on a prominent place on their packaging; can display the name and emblem of the agency that certified the food. ...So what are the organic labels that you can expect to see on food products? And what do they mean? The “100% Organic” Label. Means that 100% of the ingredients—except for salt and water—used to produce and process the food product are organic. 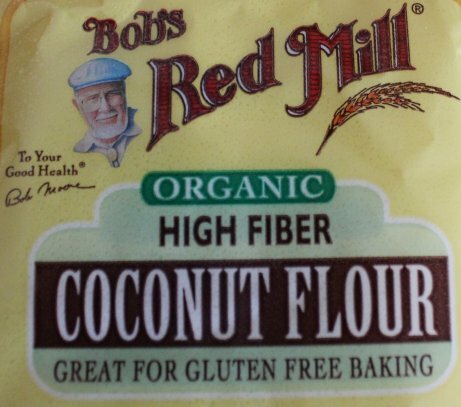 This label may appear in a prominent position on the packaging of the food product, such as on the front cover. The packaging of this product may also include the “USDA Organic” certification seal, as well as the name and emblem of the agency that certified the food. The “Organic” Label. Means that 95—99% percent of the ingredients—except for salt and water— used to produce and process the food product are organic. This label may appear in a prominent position on the packaging of the food product, such as on the front cover. The packaging of this product may also include the “USDA Organic” certification seal, as well as the name and emblem of the agency that certified the food. The “Made with Organic Content” Label. Means that 70—94% percent of the ingredients—except for salt and water— used to produce and process the food product are organic. You may find a label in a prominent place of the packaging that informs what percentage of ingredients in the food product is organic and which ingredients in the food are organic. However, these products do not display the “USDA Organic” certification seal, but do show the name and emblem of the agency that certified the food. The “Less than 70% Organic” Label. Means that less than 70% of the ingredients—except for salt and water— used to produce and process the food product are organic. These food products do not have any pronounced “organic” labels on their packaging. They also do not display the USDA certification seal or organic certifying agent names and emblems on their packaging. However, these products do include which ingredients are organic on the ingredients list on their packaging. Pictured above: The "organic" label on the front cover of an actual product. Pictured above: An example of the "made with organic content" label on a real product. 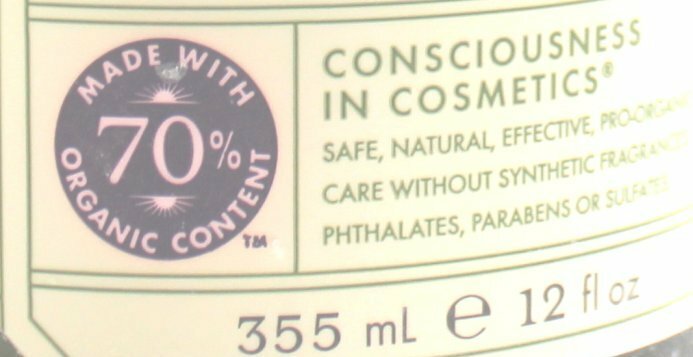 Pictured above: A product with less than 70% organic content may feature an ingredients list that points out which ingredients are organic with a star or other symbol. Want to know the details about how organic food is produced and processed? Click here. Return from Food Label to Organic Instead home page.